"Trip into the Sun," the third single off of The Rareflowers' new EP, self-titled EP out June 29th via Good Eye Records. Spotify: bit.ly/Spotify-TripintotheSun Buy: bit.ly/iTunes-Rareflowers Facebook: bit.ly/FB-TheRareflowers ~~~~~~~~~~~~~~~~~~~~~~~~~~~~ Comprised of brothers Jimmy (guitar, lead vox) and Kane Maraday (bass, vox) and joined by Aaron Gollubier (drums), New Brunswick, NJ-based group The Rareflowers craft an infectious blend of jangle and power-pop reminiscent of masters like The Cars and The Replacements. Following a self-released split single, the band now announces their signing to Brooklyn-based label Good Eye Records and their forthcoming debut EP. Although the name may be new, the seeds of The Rareflowers were sown as early as 2013. Jimmy and Kane had left their previous band to join Aaron, who had also left his band, to experiment with multitrack cassette recording. Flash forward to 2016 and The Rareflowers, performing under a different name, meet Matthew Molnar (Friends, Kissing Is A Crime) at New Brunswick basement show. Molnar would prove integral in the production of the EP with mixing done by Jarvis Taveniere of Woodsist Records. Born from the spirit of this newly formed partnership, The Rareflowers are already at work on a follow-up LP. Stay tuned for more from The Rareflowers and be sure to follow them on their social outlets. 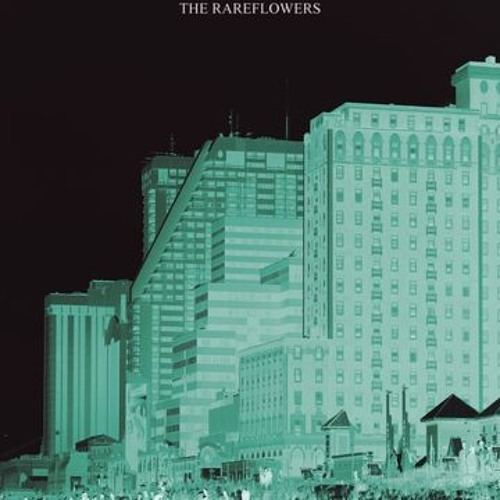 "The Rareflowers" is out June 29th and is the seventh release from Good Eye Records. Buy The Rareflowers - "Trip into the Sun"
Users who like The Rareflowers - "Trip into the Sun"
Users who reposted The Rareflowers - "Trip into the Sun"
Playlists containing The Rareflowers - "Trip into the Sun"
More tracks like The Rareflowers - "Trip into the Sun"